034 - USA - 2015 - John Macs Travel & Photography. 034 - USA - 2015. 11/12/13 - July - 2015. 034 - Beach Cities, California, USA - 2015. 12/July - 2015. - Today as a very quiet day, got up a lot later than usual, just hung out around the pool, we missed breakfast, and went to Mimi’s Café @ Costa Mesa, California for dinner. Had a beautiful meal, then a couple of beers on Sunday night. We felt tired all day. 13/July - 2015. - We left our hotel in Costa Mesa this morning, heading for breakfast at one of the beautiful beach cities up the coast. We stopped off at Uncle Bill's Pancake House at Manhattan Beach, California, this is a very popular eating place, food is excellent, service very quick, and Manhattan Beach is a beautiful beach city, we had a walk around the beachfront area. Once we had breakfast we headed for Hawthorne, California, to visit "The Beach Boys Historic Landmark" The Beach Boys & Brian Wilsons musical genius, I loved their music, I have seen Brian Wilson & his band twice. The Beach Boys music was an inspiration, The California Sound was unique, from the first time I heard their music I wanted to visit the USA, I have now visited the USA 21 times, and in 2004 I had by then visited every state in the USA. Arriving here at our hotel Loews On Beach here in Santa Monica, California @ around 14:00, we got checked into our hotel, chilled out a while, then went around to the famous Kings Head British Pub, We had a pint and some good food, it's amazing how many famous people have visited this iconic British Pub here in Santa Monica. We finished off the day with more ice cold quenches. Ye Olde King's Head, Santa Monica, California, USA - 2015. 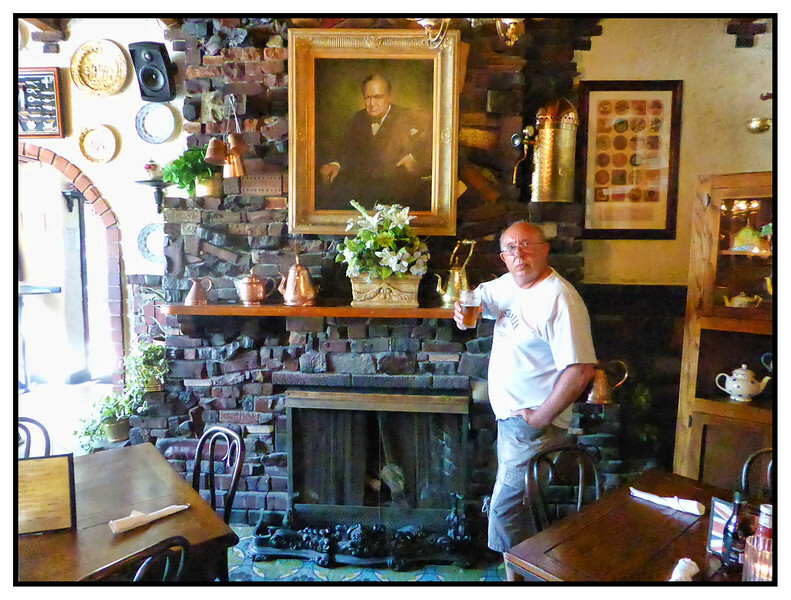 John Mac @ Ye Olde King's Head, Santa Monica, California, USA - 2015.